Dog dinner time around here is always a drama fest with Skipper, our unstoppable eating machine. 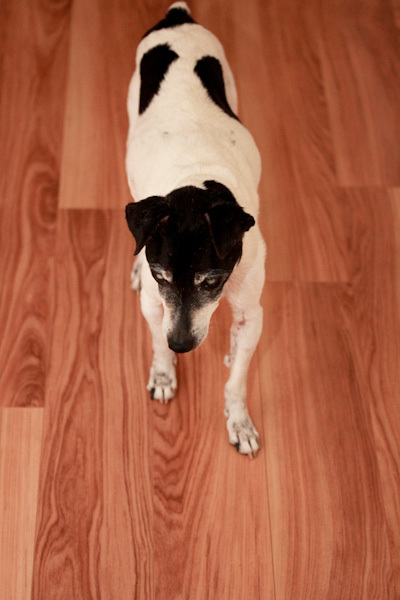 He cleans his bowl at warp speed and moves around the house looking to clean the other dog’s dinners. Miko has learned to hard way many times to eat fast or lose it. 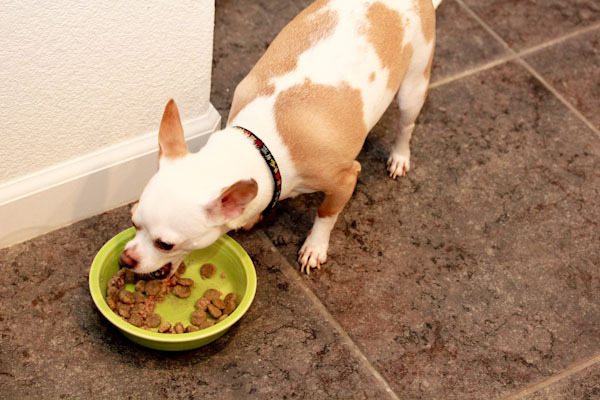 While Leela is frustrated with the game and sometimes refuses to eat her dinner at all. Lately she prefers to eat it under the coffee table far away and hiding from Skipper the kitchen shark. 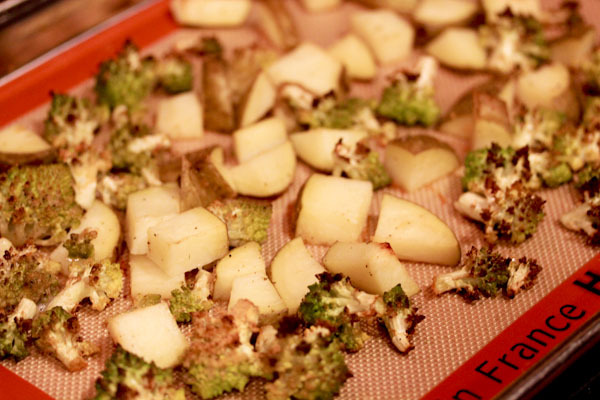 I preferred a light, snacking dinner last night after a heavy lunch, so I roasted a potato and romanesco broccoli that needed to be used up. 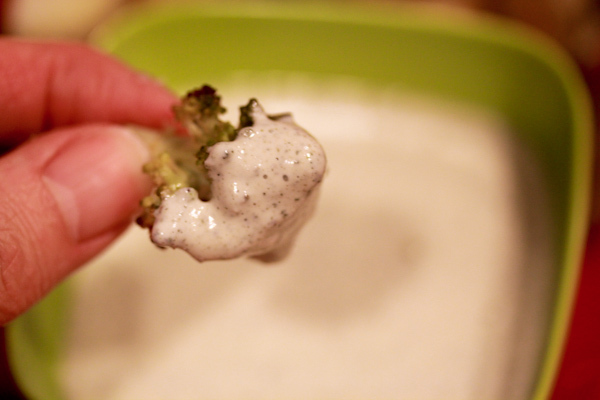 But needed some sort of dipping sauce to go with it and decided to try a traditional Greek-style lemon yogurt sauce raw-veganized with hemp seeds. Place all ingredients into a high speed blender and blend to a smooth and creamy texture. Use as a dressing, dip, or spread. Makes 2-4 servings. 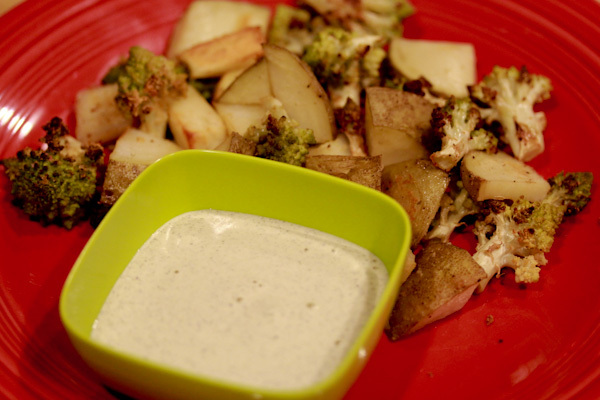 This simple sauce adds a lot of creamy zing to plain roasted veggies with a tangy and slightly sour yogurt-like flavor. Leftovers can hang in the fridge for up to 5 days for a simple salad dressing or veggie dip. This sounds delicious! I’m making it this weekend! That sauce looks awesome! I finally got my Vitamix Friday and made two smoothies and a Raw Vegan Cheese Sauce already! YUM!